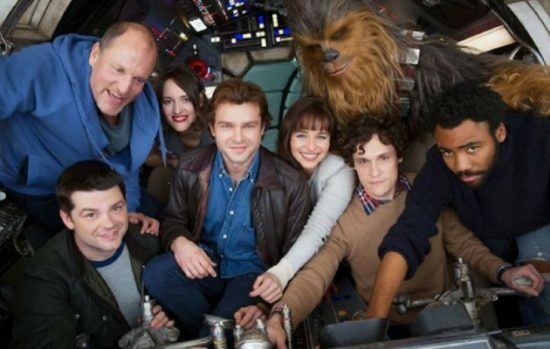 Solo: A Star Wars Story is the second of the spin-off movies that Disney is putting out every other year, this one following this exploits and origins of a young Han Solo before he became the man who will do anything for a pay day. The story begins with a young Han (played by Alden Ehrenreich), stuck on the planet of his birth, Corellia, filling the description of “street urchin”. He has stolen a vial of Coaxium, a potent hyperspace fuel, and intends to use it to bribe passage off Corella with his sweetheart Qi’ra (played by Emilia Clarke). However, the pair get split up at the spaceport gates when Qi’ra is captured and Han’s only escape is within the Imperial Military. 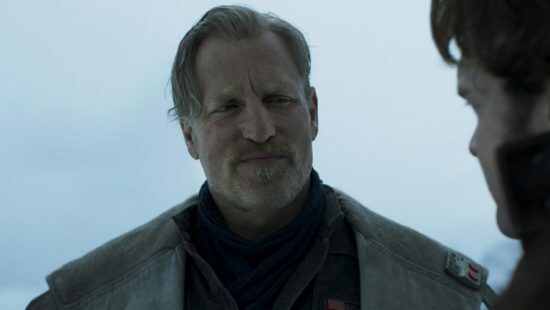 From there, years pass and Han continues to be a mouthy nonconformist, which leads him into getting mixed up with Tobias Beckett (played by Woody Harrelson), a criminal who is planning on stealing a large amount of Coaxium from the Empire. It’s a thrill ride of a movie, jumping from place to place and action set piece to action set piece. The downside to this is that it feels beholden to it’s main character it too many respects. Almost as though the movie had this Han Solo checklist, containing everything that was ever mentioned about his past in the preceding movies that had to be brought up at some point. 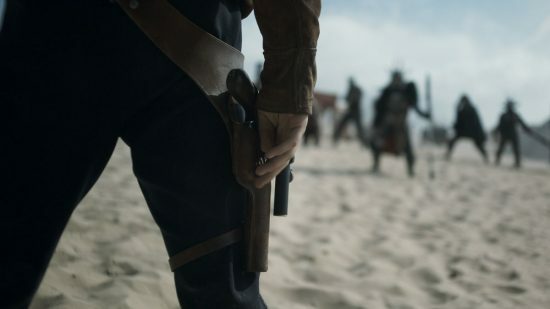 To be honest, I feel like the movie would have benefited a whole lot from being a generic smuggler movie rather than being focused on the character of Han Solo. They could have called it “Scum and Villainy” or something. 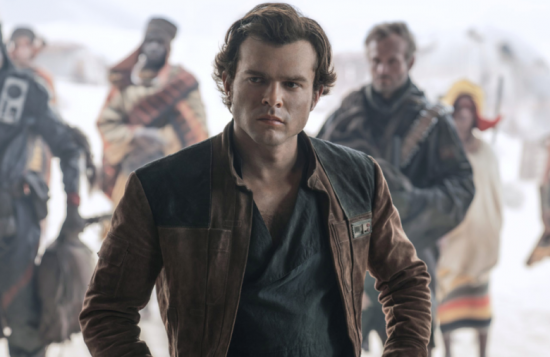 Because the movie is so beholden to the Han Solo character, it made Alden Ehrenreich’s performance come across as a lot weaker than it actually was. Ehrenreich is a great actor, he was fantastic in Hail, Caesar! The problem is, when playing a character this iconic, you can’t help but compare it to the original performance, and it’s kind of unfair to compare anyone to Harrison Ford as Han Solo. But I don’t feel like he got the mannerisms down at all. While true that this is early in the character’s career as a criminal, he seems too optimistic and happy about everything. There are no shades of the character he would become at all in terms of his personality. Plus, there was no arc to the character. He begins the movie the exact same person he is by the ending. He learns nothing nor suffers any great setback, it feels like a fun little romp rather than character study. Emilia Clarke isn’t much better. 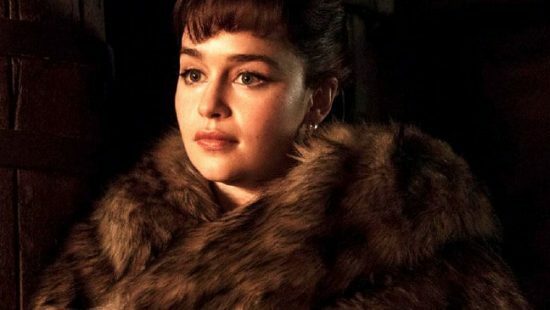 The talk around her character is more interesting than her portrayal of Qi’ra. Everybody tells Han not to trust her, that she’s done bad things in the time since they last met, and yet none of that comes across in Clarke’s performance, which felt was kind of flat to be honest. She is supposed to be a dangerous individual but it never really feels like enough time is given to the character to back this up. If anything, the movie is held up on the performances of Woody Harrelson and Donald Glover (as Lando Calrissian). Both of which are fantastic in the movie. Harrelson goes from cool to bumbling in a matter of minutes and makes it work. He he is seen grovelling at Paul Bettany’s feet and somehow brushes it off to be hugely intimidating in the very next scene. He plays a wonderfully complex mentor character who foreshadows the future of Han Solo far better than the character himself manages to. While Ehrenreich didn’t especially feel like Solo to me throughout the movie, Donald Glover embodies the role as Lando perfectly. Aside from nailing both the voice and the little mannerisms of Billy D. Williams, he just seems to effortlessly slide into the role of the smooth talking con man. He’s one of my favourite things about the movie. Speaking of which, I adored the way this movie looked. The art design in Solo is fantastic. I drank in every location and character design with hungry eyes. I have always loved the Star Wars aesthetic, from the bright and shiny days of the Old Republic to the grimy, slap-dash days of the Empire’s rule. And Solo is as dank and grimy as it gets. 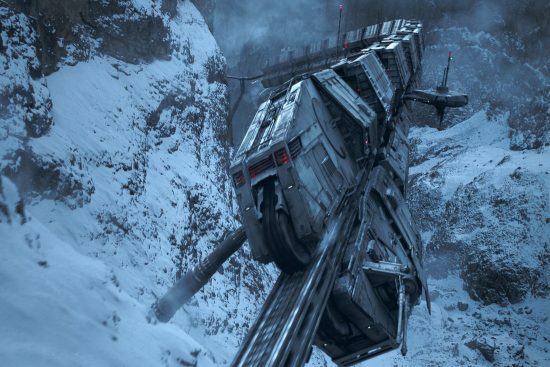 The industrial, elevated roadways of Corellia to the snowy vista’s of Vandor-1. I live for the high production backgrounds and setting of this blend of science fiction and fantasy which Star Wars has always been at its heart. This is where my fandom of the series bumps up against my feelings objectively as pure piece of cinema. Had this been a more generic science fiction movie, then I’d probably been less impressed by all of it, but because it exists in a Star Wars universe, I suddenly find myself far more receptive of it all. 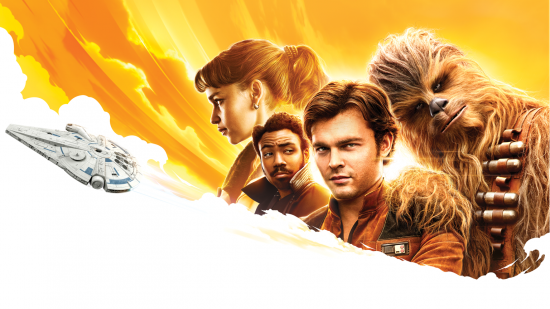 Kessel is a muddy little ball in the sky, and yet I felt the art direction made something more out of it, filling it with bright colours and diverse faces. Not even mentioning the stunning visuals and individual shots that take place within the Akkadese Maelstrom. The action set piece which takes place inside as the Falcon tries to escape the giant space monster within still stick in my mind. I think a lot of my good will from the movie does comes from the little nods and references to the greater Star Wars canon, hell there’s a Masters of Teräs Käsi reference in the damn thing. It turns the movie into something of a mixed bag. While I did enjoy a lot of things about it, I thought it could have done a hell of a lot of things better. Most notably of which was any degree of development for its main character. As I mentioned before, Han Solo has no arc throughout. He ends the movie the same cocksure, swaggering guy he was in the beginning. While it begins with him in a bad situation, he never really seems to be that miserable, already doing better for himself than many around him. His only major setback in the movie are his years spent in the Imperial Military, which are mostly brushed over, and has no effect on his personality, despite the many years under the thumb of an oppressive regime acting out regular atrocities. He is full of himself and supremely confident of his own abilities throughout the entire movie, but never gets knocked down a peg. He succeeds in pretty much everything he does, even his failures are brushed over as minor inconveniences throughout. The only major loss he receives in the movie comes as a direct result of someone cheating, something he gets his own back for by the film’s end. It’s why I felt like this should have been a generic smuggler movie, it feels overly beholden to the glorious, golden man that is Han Solo. As a consequence, he receives little no growth as an actual person despite the insane events going on around him. While messages are conveyed to him from other characters that would imply the person he would eventually become, none of that is seen through the character itself. 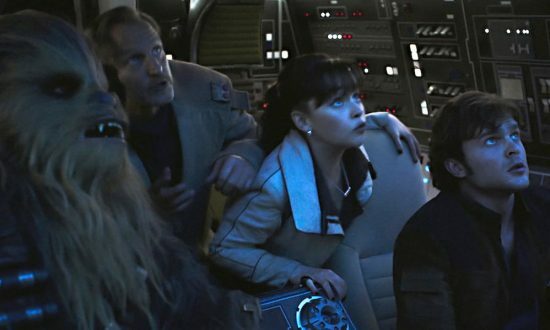 Harrison Ford’s cynical attitude and world weary demeanour as the character are seen a lot more through Harrelson’s character than the young Solo himself. There are no real shades of that character starting to appear in Ehrenreich’s Solo, which feels like a wasted opportunity. It makes me wonder how much the troubled production of the movie and change in directors altered this aspect of events. Lord and Miller’s Solo seemed to be a much more comedic and improvisational movie, something Disney did not want. Maybe the lack of development would have been much less of an issue in their version of the movie. Despite my criticisms, I really did enjoy Solo. I walked out of the movie really happy to have seen it, despite my major misgivings. It was only after the fact, thinking about it that its shortcomings really became apparent to me. My feelings are probably heavily shaded by my fandom of the franchise, the references present and glimpses into the lore we haven’t seen before was enough to keep me really invested. It’s just, when looking at the movie more objectively, I realise how little this movie risks. It feels like the movie the anti-Last Jedi crowd should love. Which makes it all the more surprising that this movie had really under performed at the box office. The future of this Star War every year plan is up in the air now, which is kind if shocking to me. There is talk that people are getting burned out already, despite the fact that we’re getting three Marvel movies a year with no complaints. I guess people have very strong opinions about Star Wars movies, and can’t agree about them at all. Solo is a fine piece of entertainment. It managed to break down the incredible amount of cynicism I had going in, and while it doesn’t do anything surprising or crazy, it’s worth a watch. Posted on June 22, 2018 by WooderonPosted in Movies, My Thoughts on:Tagged a star wars story, chewbacca, darth maul, disney, donald glover, han shot first, han solo, lando calrissian, millenium falcon, review, solo, Star Wars, wookiee.